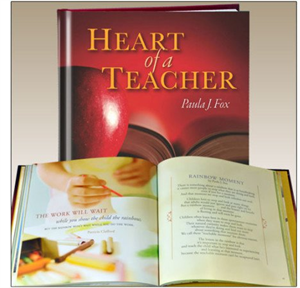 Part of our intention in publishing our gift book for educators, Heart of a Teacher, was to honor the teachers who had made a difference in our lives. Ms. Bridges, who taught the fourth grade, was amazing! She made learning so much fun and made all of us feel as though we could do anything we wanted to do. Years later, the impact she made on me as a young child is still evident in my current success. As Andy Rooney once said, “Most of us end up with no more than five or six people that remember us. 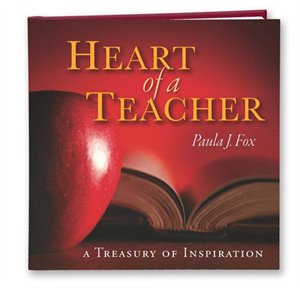 Teachers have thousands of people who remember them for the rest of their lives.” Why is that? It’s because of the heart of a teacher. A heart made of generosity, joy, wisdom, compassion, patience, and purpose.